I've always thought of Avon as a makeup brand known for its affordable and quality makeup products. 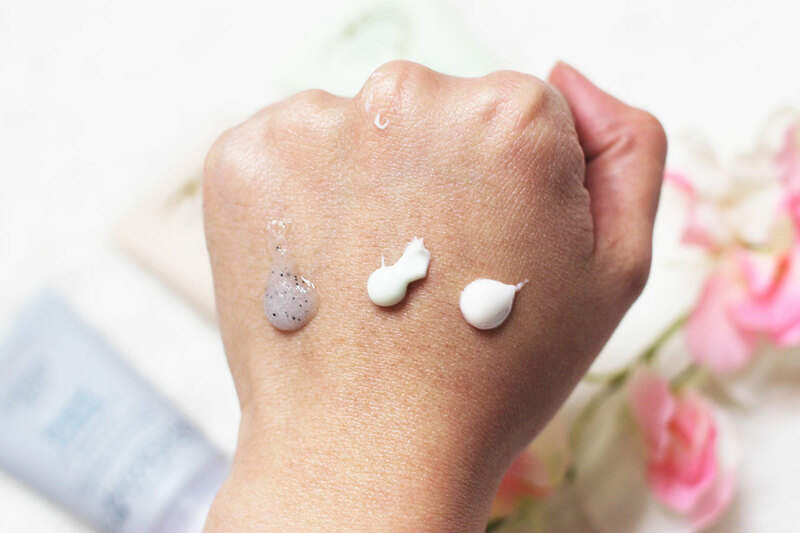 I was so pleased to find out they have branched into skin care and I've got the three best-selling musketeers of Avon skincare to share with you today: the Heavenly Hydration Body Moisturiser, Blissfully Nourishing Hand Elbow and Foot Cream and the Perfectly Purifying Body Scrub. Scrub away dead dry bits of skin with this body scrub. It has moderately densely packed small beads suspended in a jelly medium. It smells divine, a little musky reminiscent of men's fragrances with a minty feel due to crushed mint leaves. I love how this leaves my skin smooth and soft, especially my elbows and behind the ankles. I know some people are ethically disinclined to beaded scrubs but for its purpose as a body scrub I would recommend it. This pale green moisturiser rekindles my love for the clean scent of olives. It brings back memories of the time I was not so allergic to Body Shop's Olive Body Butter... oh how I lathered it on my skin every day post-showers. Avon's offering also contains olive oils to nourish the skin providing at least 12 hour hydration keeping my skin from the itch and the flakes. It dries quickly and is nonsticky, making the skin feel soft as if I've used a body primer! This is a lot thicker and stronger smelling than the olive heavenly hydration moisturiser. Shiv and I are in opposite minds with this one. She feels its too strong and synthetic smelling, where as I think its delicious and reminds me of burnt sugar. 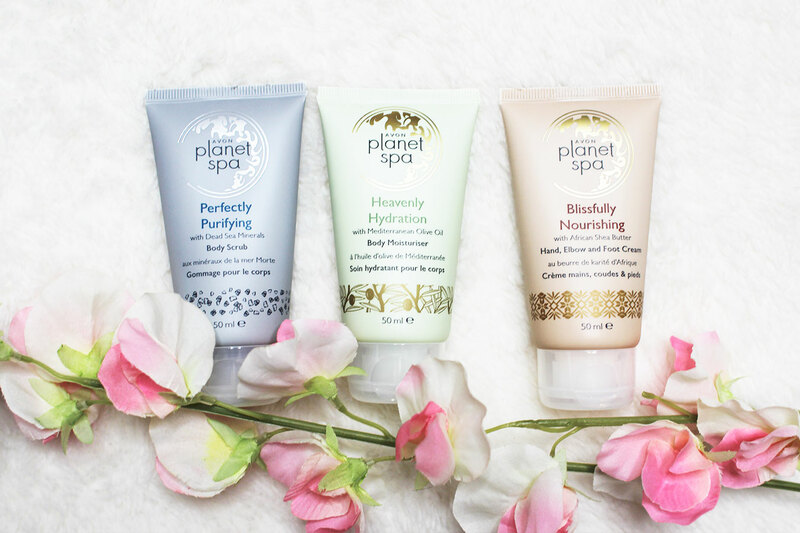 African shea butter ensures longer lasting hydration. Apply enough and work it in to get smooth elbows and knees in no time. I think the smell of the foot and elbow cream has grown on me...slightly. Despite that - it does an amazing job on my dry skin so cannot recommend it more highly! Good to know you're slowly warming up to the smell... And you're right, It's a fantastic moisturiser!